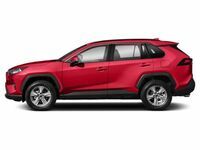 With the debut of the all-new 2019 Toyota RAV4 at the New York International Auto Show, the compact crossover is even more attractive to families on the go. Expected to arrive at Downeast Toyota in the winter of 2018, the next-generation Toyota RAV4 has drivers chomping at the bit to get behind the wheel and many want to know – what are the differences between the 2019 Toyota RAV4 and 2018 Toyota RAV4? 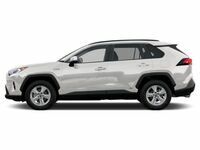 Take a closer look with this 2019 Toyota RAV4 vs 2018 Toyota RAV4 comparison. A complete redesign makes the world-class Toyota RAV4 more practical, attractive, athletic, efficient and advanced than ever before. 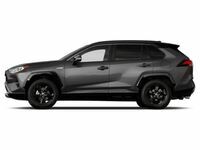 Armed with a larger, 105.9-inch wheelbase, the next-generation Toyota RAV4 is expected to provide a more spacious cabin that is backed by a wealth of innovative features that upgrade safety and connectivity. When the 2019 Toyota RAV4 arrives, it will be available in gas or hybrid variants with a smorgasbord of trim levels that include the off-road RAV4 Adventure, the luxurious RAV4 Limited and the athletic RAV4 XSE Hybrid. What's New for the 2019 Toyota RAV4 Design? 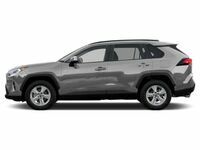 With Toyota New Global Architecture at its heart, the 2019 Toyota RAV4 promises to set the bar high in this 2019 Toyota RAV4 vs 2018 Toyota RAV4 comparison. Performance is an important aspect of this Toyota crossover debate and next-generation Toyota RAV4 variants will employ a standard 2.5-liter four-cylinder Dynamic Force Engine with Toyota D-4S fuel injection – an engine that makes 206 horsepower in the 2018 Toyota Camry. Married to a Direct Shift eight-speed automatic transmission, the 2019 Toyota RAV4 is expected to be more efficient that the current variant. Drivers who cannot wait for the arrival of the all-new Toyota RAV4 will not be disappointed by the 2018 Toyota RAV4 in Bangor. Armed with a 176-horsepower 2.5-liter four-cylinder engine under the hood and a six-speed automatic transmission, the current Toyota compact crossover will earn 23 mpg in the city and 30 mpg on the highway. If you and your family love the outdoors, the Toyota RAV4 Adventure grade will tow up to 3,500 pounds. Families who value efficient fuel economy will find that the Toyota RAV4 Hybrid fits the bill. In its current form, the Toyota RAV4 Hybrid pairs a 2.5-liter Atkinson Cycle engine with a high-torque electric motor to manufacture 194 horsepower and achieve 34 mpg in the city. All-new 2019 Toyota RAV4 Hybrid variants will marry the more powerful 2.5-liter Dynamic Force Engine to a Toyota Hybrid System II that is expected to surpass its predecessor in terms of power and fuel economy. Drivers who love to take the road less traveled will love the refined all-wheel drive system of the 2019 Toyota RAV4. Dynamic Torque Vectoring All-Wheel Drive with Rear Driveline Disconnect will distribute up to 50% of torque to the rear axle when you need additional traction and will operate in front-wheel drive in normal conditions to upgrade fuel economy. In addition to an upgraded AWD system, the redesigned Toyota RAV4 will add Multi-Terrain Select technology to provide drivers with Snow, Mud, Sand and Rock modes. Inside the 2019 Toyota RAV4, you can expect to find a wealth of next-generation technology features that start with a Toyota Entune™ 3.0 infotainment system. Complete with a standard 7-inch touchscreen display, Toyota Entune™ 3.0 provides one-touch access to onboard Wi-Fi Connect, Apple CarPlay, Bluetooth, Amazon Alexa capabilities and much more. New Toyota RAV4 models will upgrade on award-winning safety ratings with the second-generation Toyota Safety Sense™ 2.0 system that provides a Pre-Collision System with Pedestrian Detection, Dynamic Radar Cruise Control, Lane Departure Alert with Steering Assist, Automatic High Beams, Lane Tracing Assist and Road Sign Assist. Visit Downeast Toyota today to experience the world-class Toyota RAV4 compact crossover firsthand!